We are taking a break from the weekly meetings. We will post an update here later. 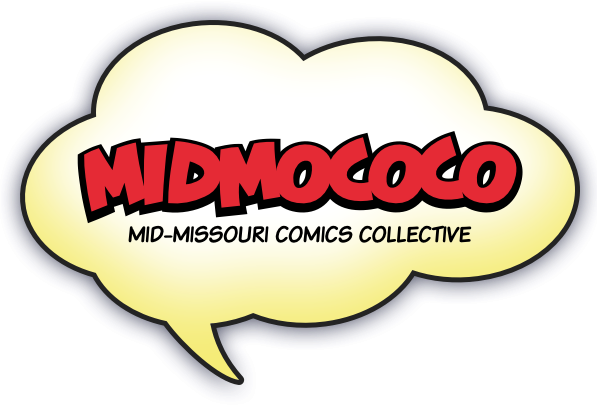 The Mid-Missouri Comics Collective (Midmococo) is a group of comic creators and enthusiasts based in Columbia, Mo. Established in May 2005, we are primarily made up of comic creators, but we also welcome readers and enthusiasts. We don’t have official members, or dues, but there are a few people who oversee the group. To get involved, talk with us on Twitter, attend a meeting or an event. © 2019, Mid-Missouri Comics Collective. Background images from the Digital Comics Museum. Reload the page to see more. See them all.